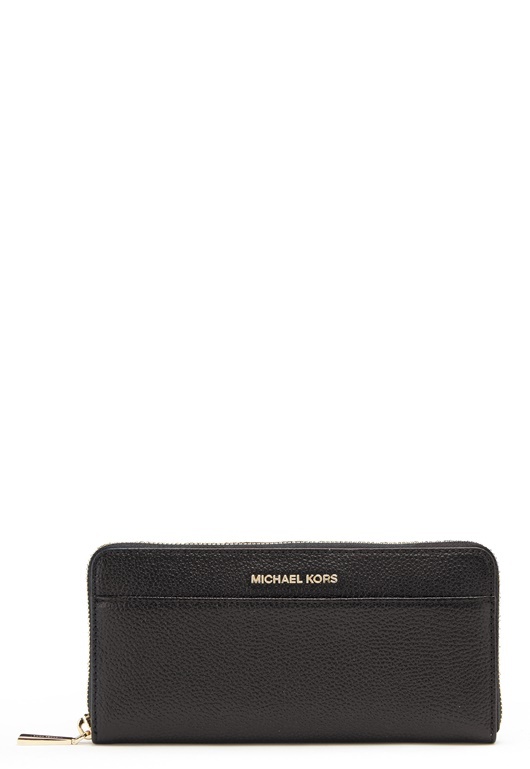 Stylish wallet with many compartments from MICHAEL KORS.- A large compartment that closes with a golden zipper. 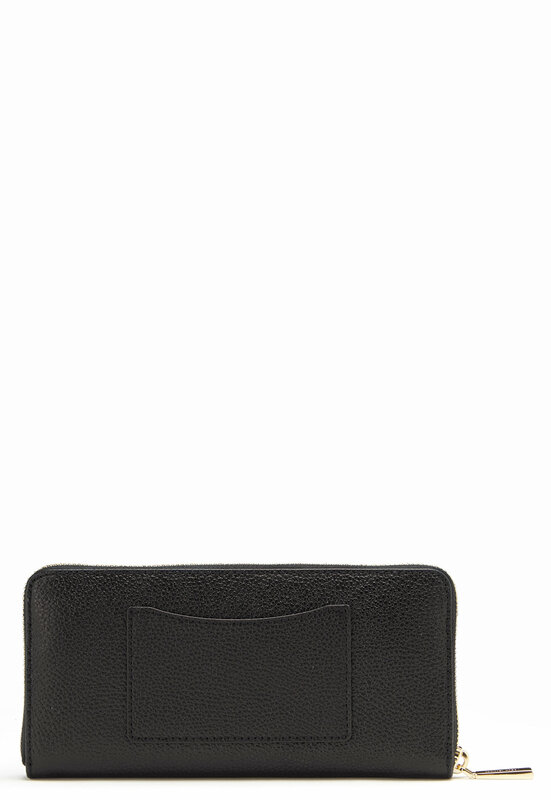 A smaller coin compartment with zipper. 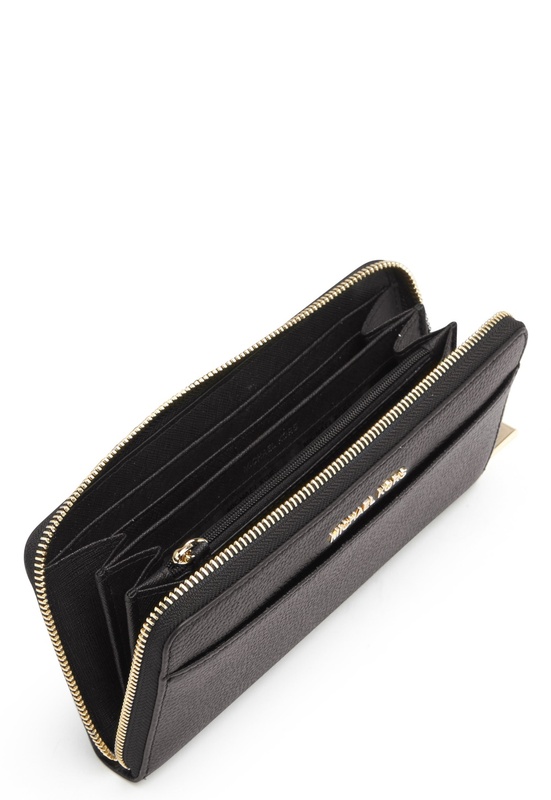 Three compartments for banknotes. 12 compartments for cards. A small compartment on the backside and a larger one at the front. Logo at the front. Length 20.5 cm, height 10 cm, width 2.5 cm.